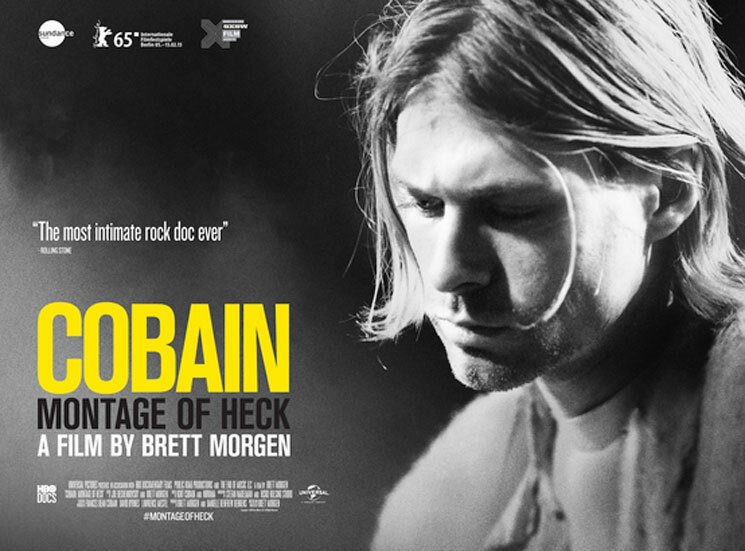 We knew that the documentary Kurt Cobain: Montage of Heck would be coming to HBO on May 4, but it turns out that the film about the late Nirvana frontman will also be getting a theatrical release before that. Billboard reports that, beginning on April 10, the flick will be shown in 72 countries. The exact details of the rollout haven't been announced, but presumably there will be some screenings in Canada. The theatrical release means that to documentary will be eligible for the Academy Awards in 2016. The film has already screened at a few festivals, most recently Austin, TX's South by Southwest. Director Brett Morgen told Billboard, "Within 90 days, the whole world will have access to the film." Cobain's daughter Frances Bean Cobain serves as an executive producer on the film, which mixes animations with never-before-seen home movie footage of the grunge superstar. It will include unheard music and will get a companion book.